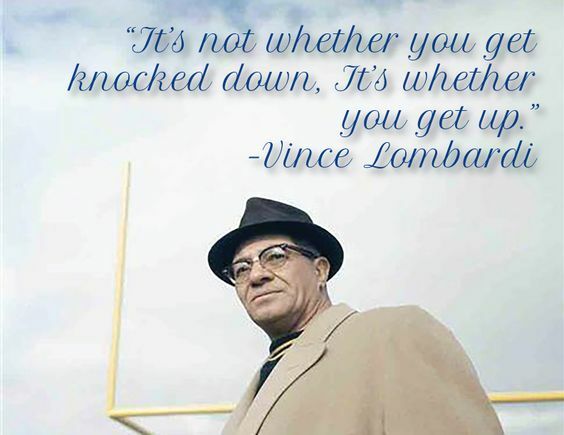 Have you been knocked down? Get up. My client was discouraged. Honestly, when she told me what had happened, I was discouraged too. We’d worked together diligently to come up with a plan of action, and she’d followed our plan, but things didn’t work out the way she wanted. Bottom-line, although she’d tried, she hadn’t gotten the buy-in from others on the team and her boss was disappointed in the project. She felt knocked down. I felt knocked down along side her. Bottom-line, we all get knocked down. Sometimes often, sometimes seldom, but it happens. And each time it happens it’s an opportunity to get back up and try once more. As we discussed the situation, we both realized she needed a bit of time to heal. She needed to step back and take a breath, before she sat down to figure out what had happened and what had gone wrong…and perhaps just as important, what had gone right and what she could learn for the future. Once she had her breather, she was ready and able to look at it closely, see the steps she may have stepped over and the stakeholders she hadn’t taken fully into consideration. She was able to make a new plan of action. We will all – most likely – get knocked down. We all – most likely – may need to figuratively lie on the ground and catch our breath for a few minutes. And then we all can get back up and keep going, or go in a different direction that will serve us better. When have you been knocked down? How have you gotten back up? For support in getting back up, contact Lisa at lkohn@chatsworthconsulting.com.